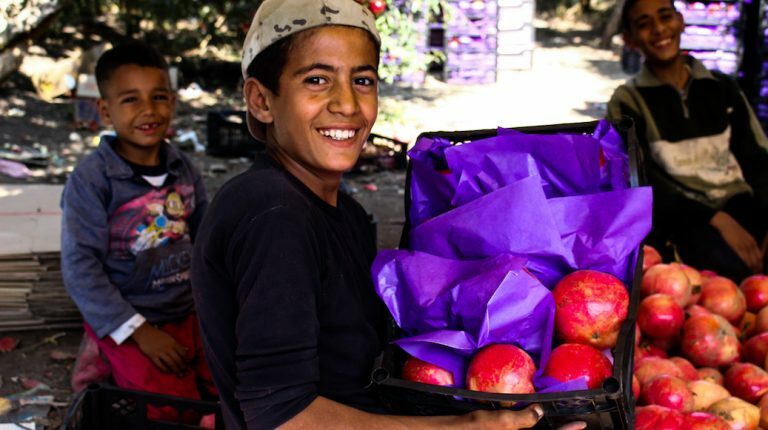 As the winter season starts, seasonal fruits fill the local markets, with people eagerly waiting for them. 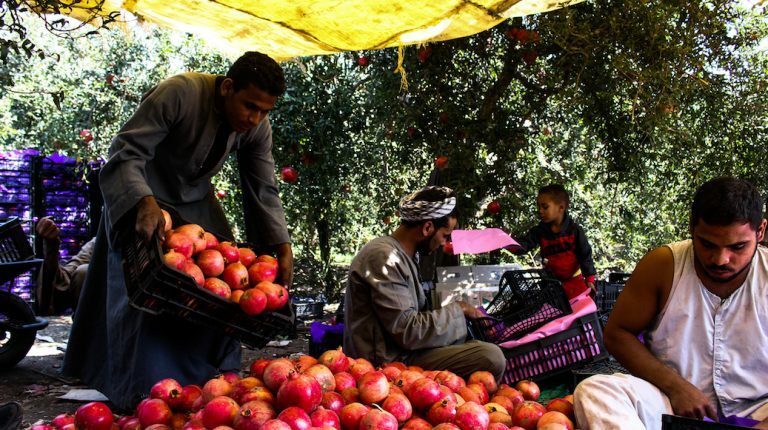 Pomegranate comes at the top of these fruits. 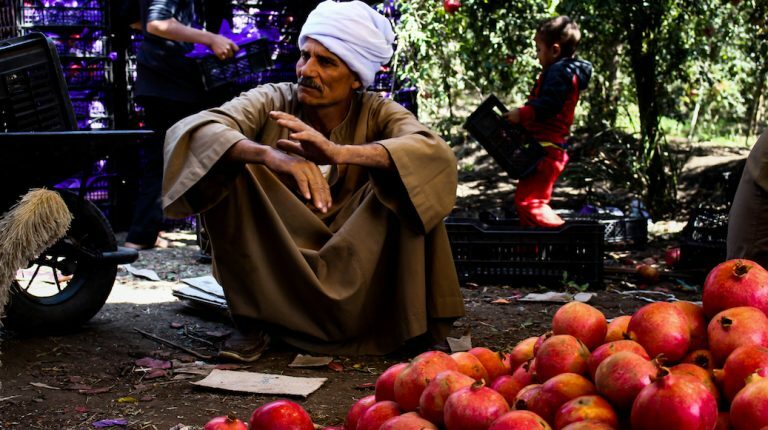 The rounded-shape fruit is considered one of the Egyptians’ favourites, especially due to its short period of availability in the market. 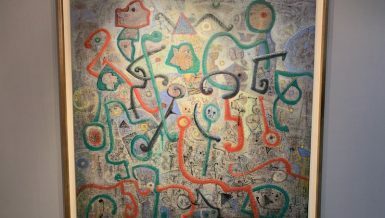 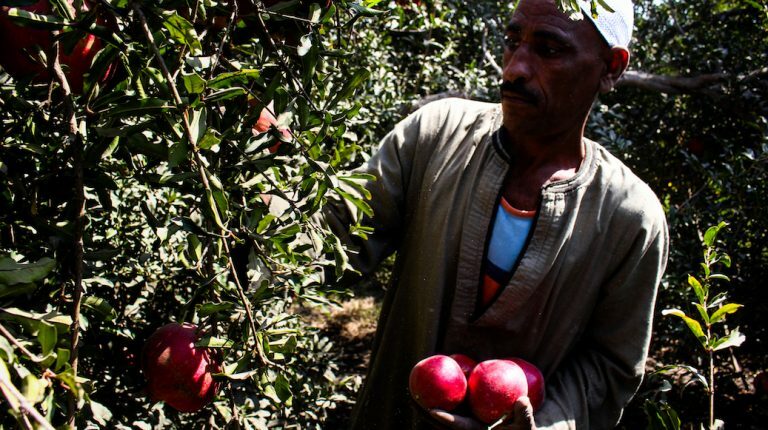 The six-metre tree is mostly planted in Upper Egypt, especially in Assiut, where over ten feddans are planted with pomegranate only. 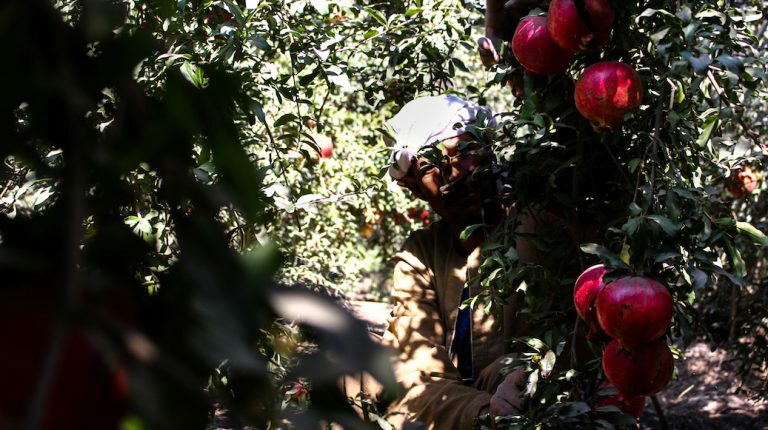 The harvesting season starts from September, and reaches its peak by the end of the year. 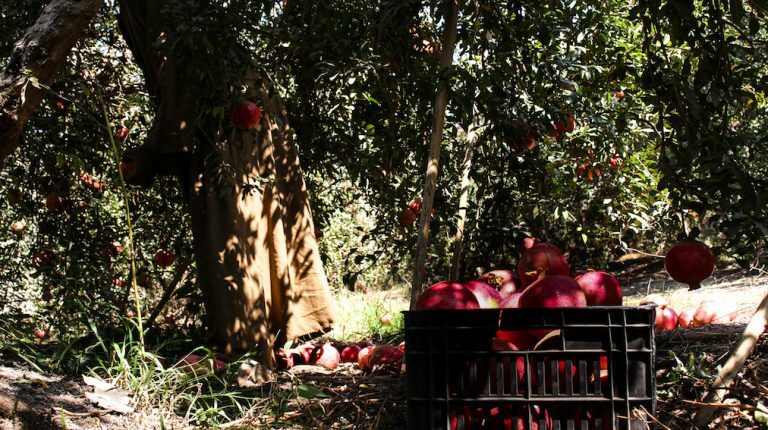 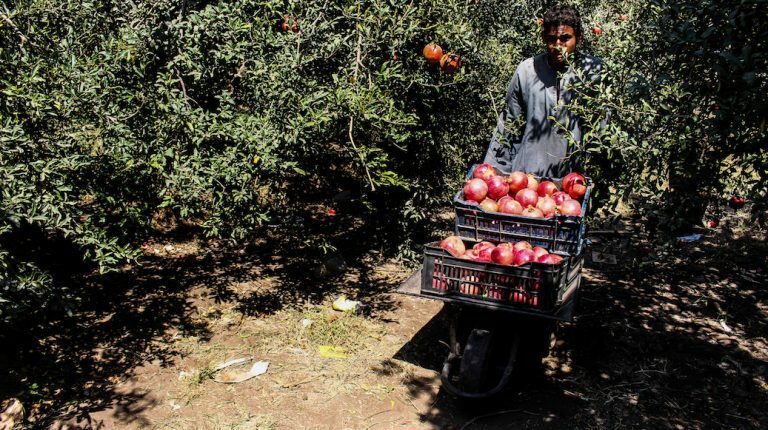 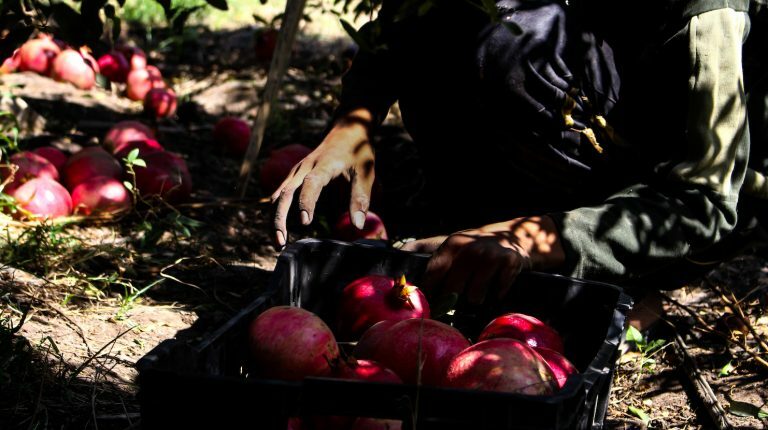 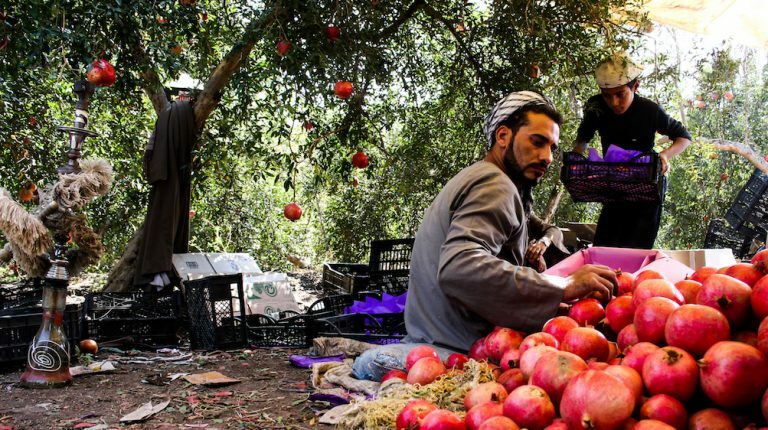 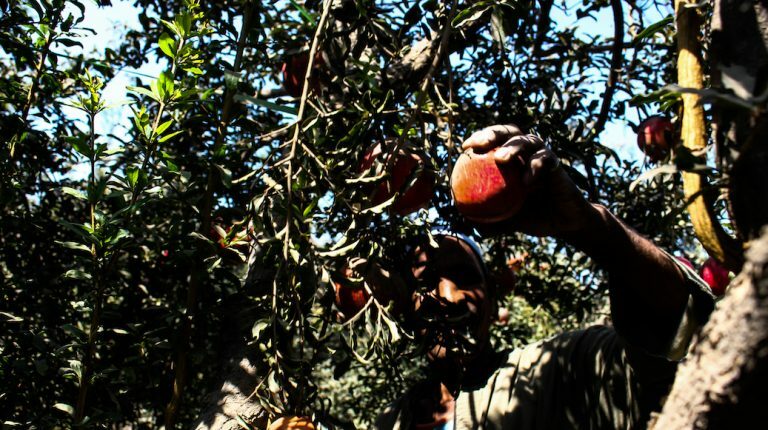 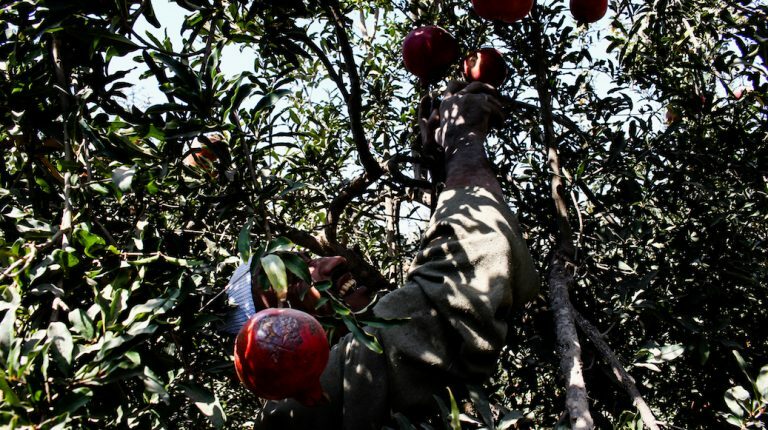 Local farmers state that each feddan in Assiut produces from 19-22 tons of pomegranate, making Egypt one of the top pomegranates exporting countries. 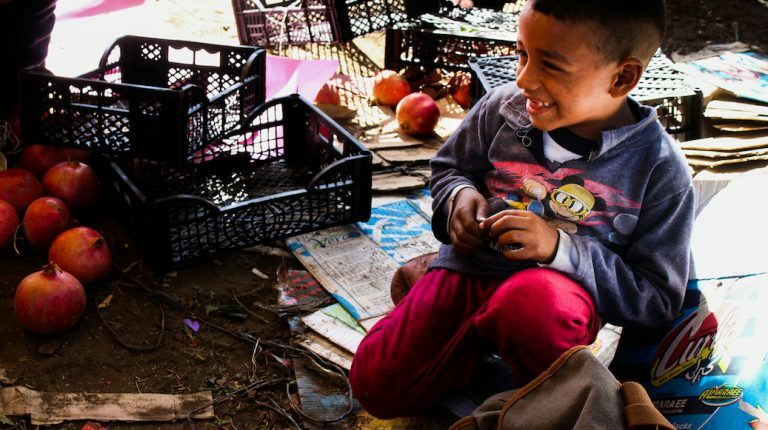 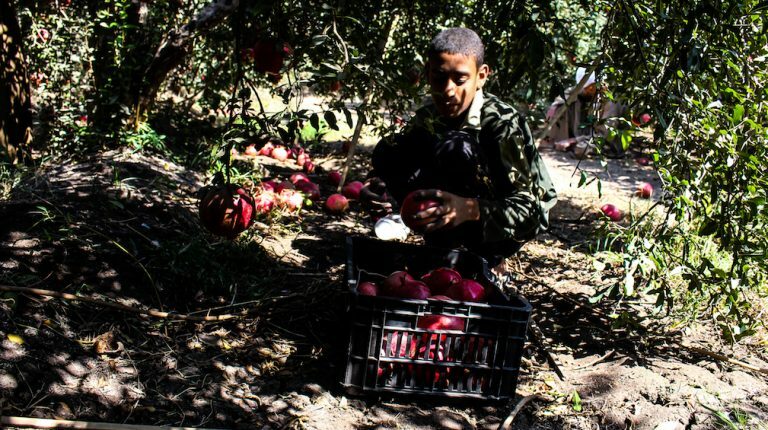 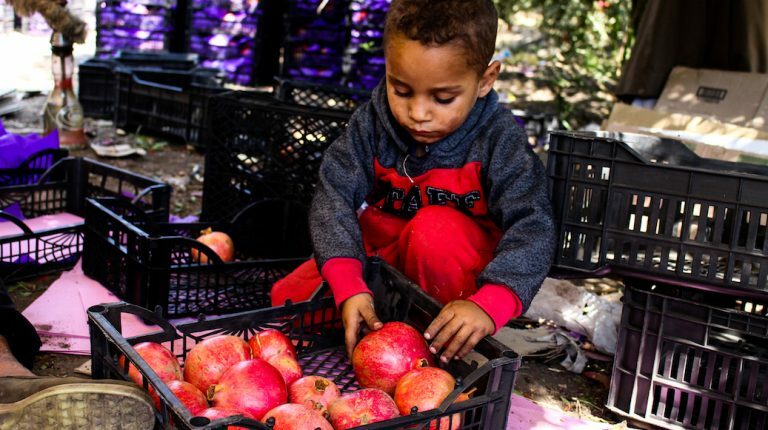 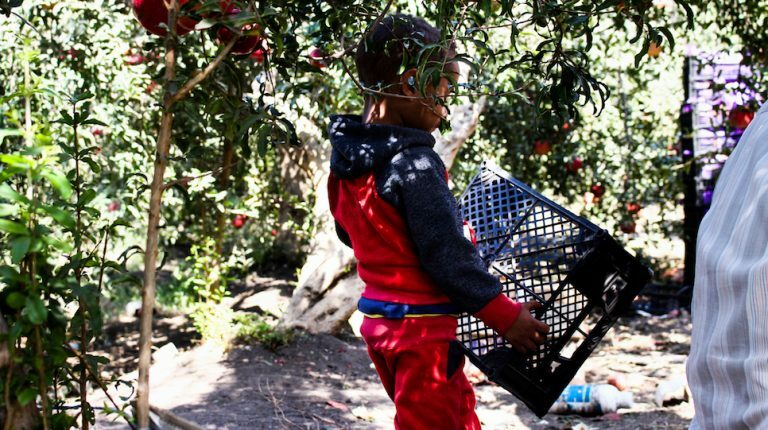 As many seasonal fruits in the harvesting season, many of the producing areas’ residents rely on harvesting pomegranate as a source of their income, with the children even taking part in the process. 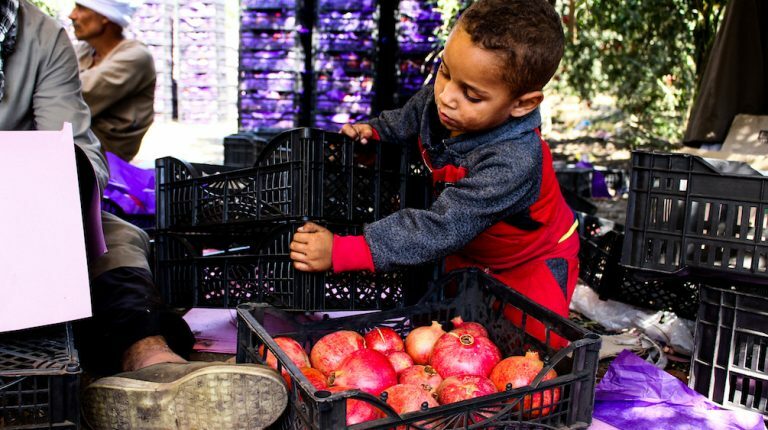 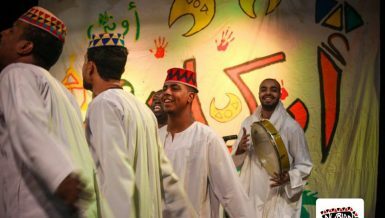 The photos were captured in Manfalut, the second city in Assiut with the highest pomegranate production.